Just experienced one of the dumbest moment in my life that I'm so embarrassed by myself that I couldn't help but to blog about it lolololol. So a movie date with her, decided to buy the movie ticket online via GSC app. Bought the time 2040 show and THOUGHT it was 10:40p.m. (here starts the dumbness in me), thinking it match with our time and she off work around 8 something, should be able to have dinner and so. So ever since then, I keep on remind myself 10:40pm without a second thought that 2040 is 8:40p.m. Aira came and fetch me around 10p.m. and we reach Pavilion around 10:20p.m. Until 10:30p.m. 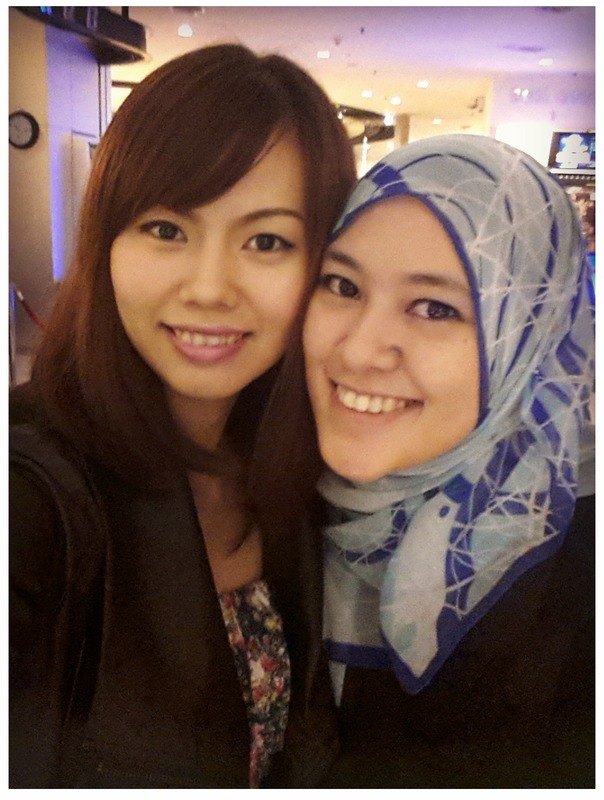 our hall still haven't release to audience yet, Aira felt a bit weird but I was like maybe they delayed or something. 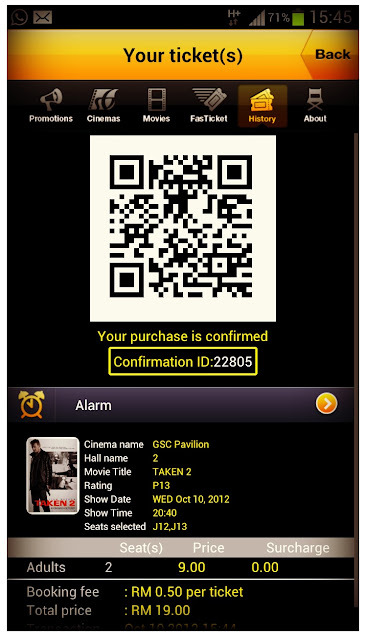 So the hall release, I tried to scan using the QR Code but failed, and the GSC person say just go in la after he check it is hall 2 and the movie is Taken 2. Then the whole 2040 is 8:40p.m. hit me hard at that split second. I was like: OMFG I AM SO FREAKING DUMB IT WAS MY FAULT HOW COME I DIDN'T REALIZE IT WAS 8:40P.M INSTEAD OF 10:40P.M WHAT'S WRONG WITH ME!!!!!!!!! Then I quickly told Aira is my mistake we have to leave now then we flee away in just seconds. I keep on apologizing to her all the way till we go back to her car. I really don't know what is wrong with me, how come I am so blur I didn't notice the time. I still feel sorry that I screwed up this movie date and have to postpone our movie date. Let's just hope our seat will not be TAKEN AGAIN lol.